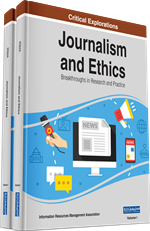 This chapter explores the design and execution of transmedia journalism projects to inform professional production and academic experimentation. It draws on the author's current project to illustrate real-world production planning. The chapter opens with a discussion of how design thinking and audience targeting apply to this task and contribute to project success. The chapter then elaborates the flow of decisions required for a thorough transmedia plan and finally presents the Refuge project as a design example. This pilot transmedia story network focuses on the single issue of refugees: those who migrate by force, either to escape suffering and deprivation or to build new, more hopeful lives elsewhere. It is the first in a networked series of similar projects that will explore the issues that polarize the electorate in the American West, from economic stratification to religious identity, environment, and gun ownership rights. There are many essentialist traps in the study and production of transmedia storytelling. Definitions of transmedia logic vary by media industry and by the researcher describing it. In journalism, understanding of the term and how to implement it differ between publisher and between editors or reporters. Similarly, as Johansson-Sköldberg, Woodilla and Çetinkaya (2013, p. 132) note, the concept of design thinking defies essentialist description as its character and use changes between academics and industry, and between analysts and designers. Despite this lack of codification, the common elements among these many views on design thinking are a valuable entry point to transmedia journalism project design. They can help journalists bring the care they put into the creation of traditional single stories into the planning of a complex project constructed of many interconnected parts.